New Black Kettle - Suitable for Aga STOVE WOOD BURNER - Le'Xpress 2.0 L Litre. Features a stay cool, heat resistant handle and knob, flip top whistle with a stay cool push button to open the spout and clear 'max fill' level markings. Features a stay cool, heat resistant handle and knob, flip top whistle with a stay cool push button to open the spout and clear 'max fill' level markings. The indented ergonomic shaped handle also ensures safety and comfort. Suitable for all hob types, except induction. High-quality stainless steel kettle. Heavy aluminium kettle, suitable for Gas or range cooker. Pendeford Steelex Traditional Stove Top Kettle 4Ltr (ST/9904). A quality 4Ltr Stove Top Kettle (3.2Ltr to Max Level. - Suitable for all hobs, including induction. The aluminium disc in the base allows fluids to heat evenly and efficiently through the use of magnetic induction on induction hobs. ). With Kettle and gas( not neoprene cover). Reels - Carp / Pike. Luggage - Carp. Carp Fishing Accessories. Rods - Carp Fishing Kits. Line - Coarse Carp. Carp Rigs Tubing. Rods - Coarse Carp. The Hobo Stove is the newest product within the Ghillie Kettle range. Simply place the Hobo Stove on the ground and build the fire inside for an easy, portable and. fire base and is only compatible with the Adventurer and Explorer models. Insulated Brew Kit Bag (474). This insulated bag is ideal as a brew kit bag. Reels - Carp / Pike. Luggage - Carp. Carp Fishing Accessories. Rods - Carp Fishing Kits. Line - Coarse Carp. Carp Rigs Tubing. 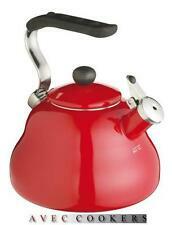 Pendeford Red 2.5Ltr Stove Top Whistling Kettle (SS2090). 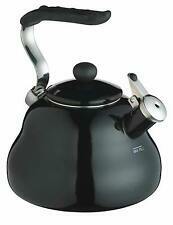 A quality stove top whistling kettle from Pendeford. Suitable for use on all hobs including: Gas, Electric, Halogen radiant electric, Oil stove, Solid Fuel, Ceramic, Induction. New Cream Kettle -Suitable for Aga Stove Wood Burner - Le'Xpress 2.0L Litre. Features a stay cool, heat resistant handle and knob, flip top whistle with a stay cool push button to open the spout and clear 'max fill' level markings. Found during a recent house clearance. There was evidently no other parts to the set, no burner etc. This is however a used kettle in great condition. No obvious flaws, complete and with just a few light bruises in the sides of the kettle. This is a sturdier version of our standard pot stand consisting of three sections rather than two, giving a more rigid feel and being only slightly heavier. This stand matches our original spill proof burners perfectly but will work with any burner where a pot height of 45mm is required. The stand matches our spill proof burners perfectly but will work with any burner where a pot height of 45mm is required. Chub Foldable Silicone Kettle. Suitable on every stove. very durable and made of foldable silicone material. Silicone body and lid. Totally foldable. Carp Fishing Accessories. Rods - Carp Fishing Kits. A cast iron kettle humidifier. NOT TO BE USED AS A KETTLE FOR DRINKING WATER AS IT IS NOT LINED. Can be used on your wood burning stove or fireplace to create a light steam and humidify the room naturally. Suitable for use on Any Type of Cooker, Except Microwave. Not in it's original Box, but Gleaming. With Kettle Stove, Gas. Includes as shown Kettle 1.1 lt. Brew Kit Bag. This bag is ideal as a brew kit bag. This stove is super efficient, lightweight, highly compact and provides a high output Its made from stainless steel, aluminium, copper and silicone. Induction ready, suitable for ALL hob types. Dishwasher and oven safe upto 180 Degrees Celsius. Available in Black, Vanilla, White & Green. Teflon Classic Non-Stick cooking surfaces. All round stainless steel pouring lip. Applicable to: gas stove, induction cooker, spirit cooker. Solid handle for you to grip easily and do not hurt your hands. Tea pot capacity: 1L. 1Pc x Tea Pot. Material: Stainless Steel. Made of stainless steel material, durable and safe. NGT Fishing Gas Portable Stove Compact High Output Bivvy Shelter Camping 3000w . This stove is super efficent, lightweight, highly compact and provides a high output of 3000W. Its made from stainless steel, aluminium, copper and silicone.